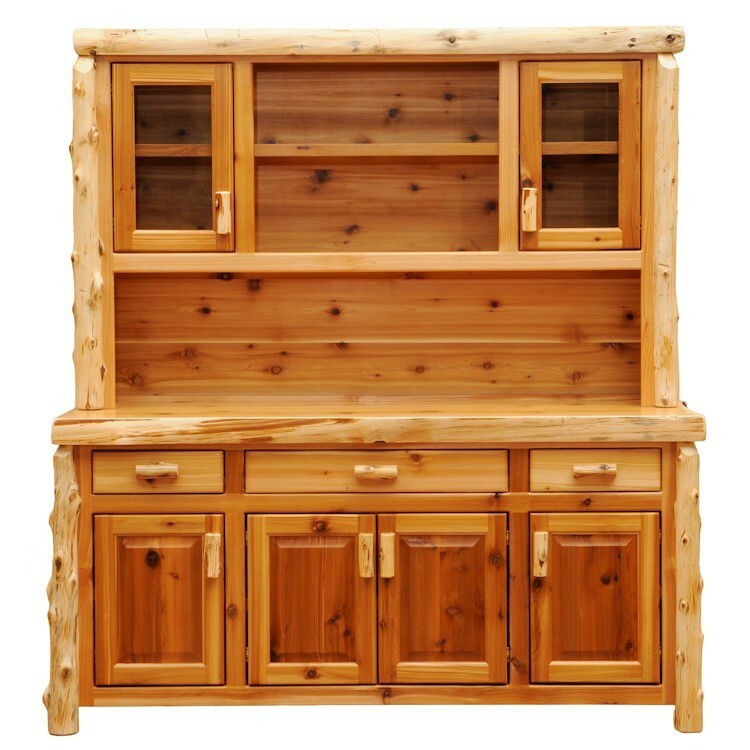 This Cedar Log Dining Room Hutch is individually hand crafted and made of hand peeled white cedar logs giving it a natural beauty and rustic look. It is clear coated with a catalyzed lacquer finish for extra durability. 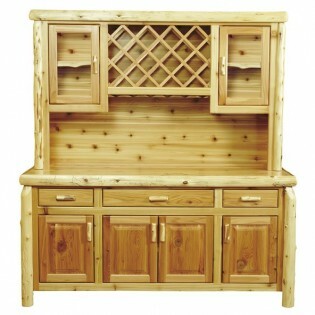 It has built-in wine rack with wine glass holders mounted under the wine rack. This Cedar Log Dining Room Hutch is individually hand crafted and made of hand peeled white cedar logs giving it a natural beauty and rustic look. It is clear coated with a catalyzed lacquer finish for extra durability. 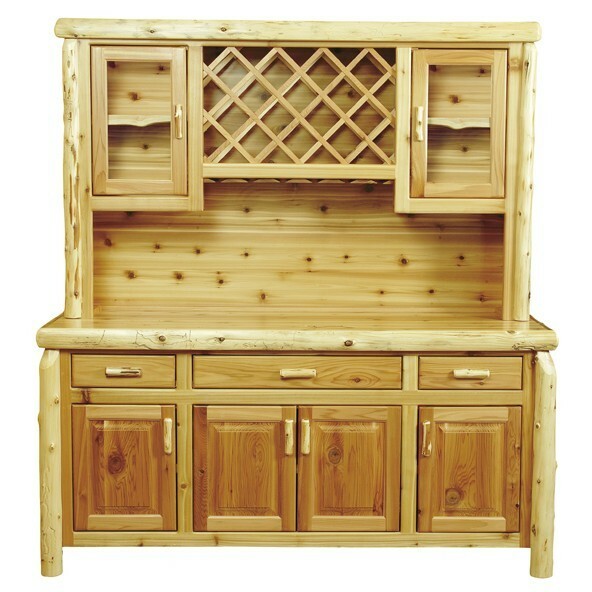 It has built-in wine rack with wine glass holders mounted under the wine rack. It can also be purchased with open shelves in place of the wine rack. The drawers are dovetailed and feature full-extension ball-bearing glides up to 100 pounds for added quality.